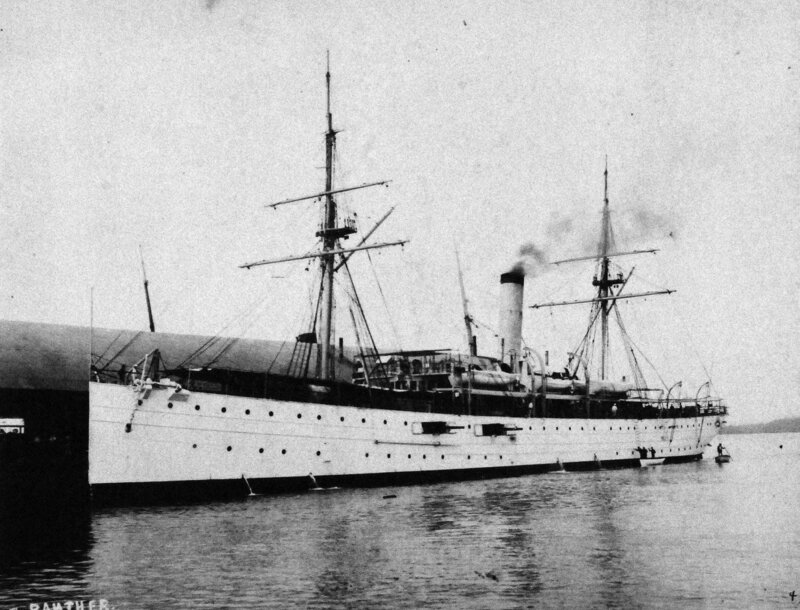 Built in 1889 as SS Austin by William Cramp and Sons, Philadelphia, PA.
Decommissioned, 21 October 1903 at Philadelphia, PA. 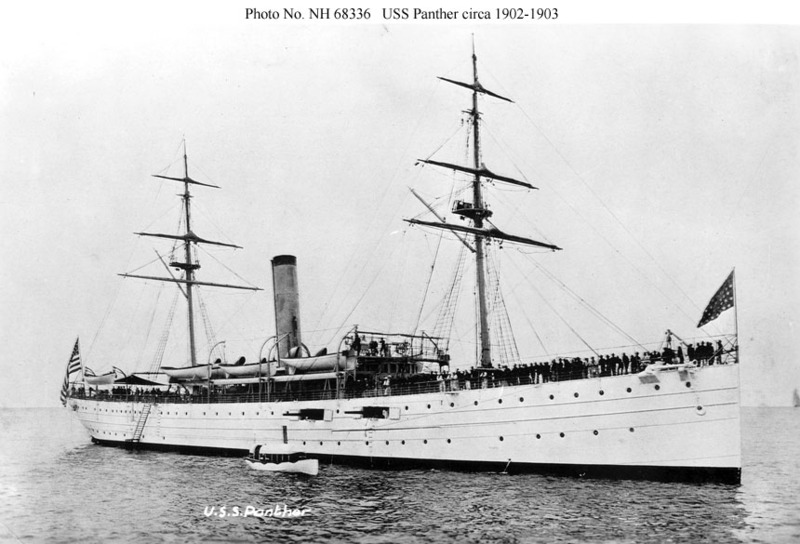 Final Disposition, sold for scrapping, 24 March 1923, to Tioga Steel Co., Philadelphia, PA.
126k Training Ship USS Panther at anchor, probably during her period in commission from June 1902 to October 1903 after being refitted as a training ship with topmasts and heavy yardarms. Her main battery has been rearranged, guns now being visible in the two open hull ports and on deck forward of the foremast. The two 4" guns also attributed to the ship may be on the fantail but are not clearly visible. 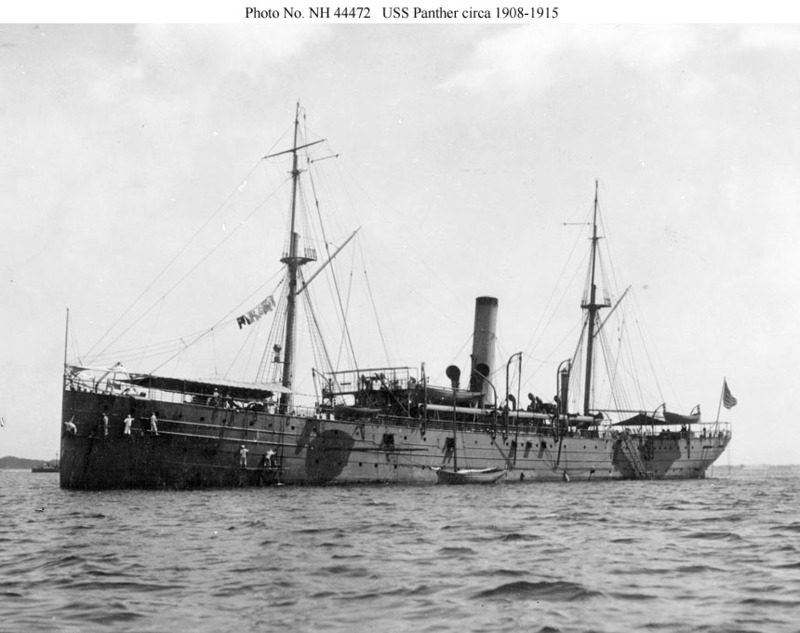 585k USS Panther moored at Pier 4, Colon, Colombia, September 1902. Taken while she was serving as a troop transport to protect against unrest in Honduras. 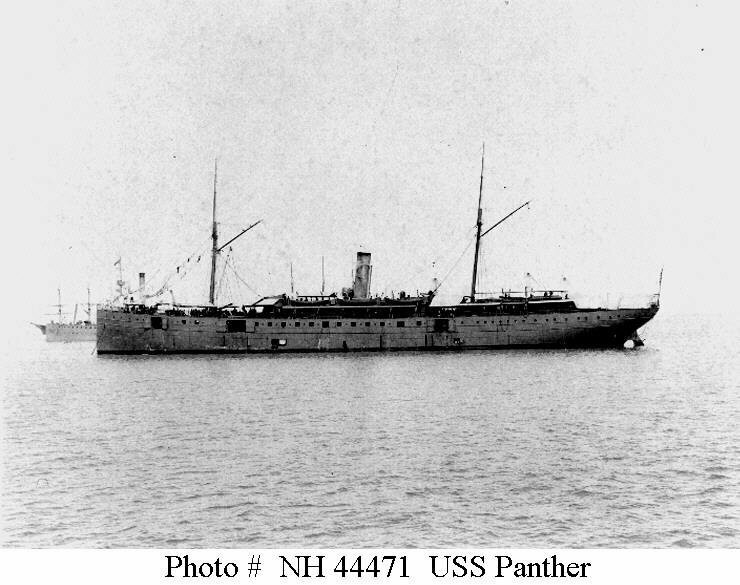 113k USS Panther while serving as a repair ship for the Atlantic Fleet sometime after the fleet converted from white to gray paint in 1909 and before she was fitted with 3" guns in around 1915. The spreaders suspended from the tops of the masts supported long-wire radio antennas. 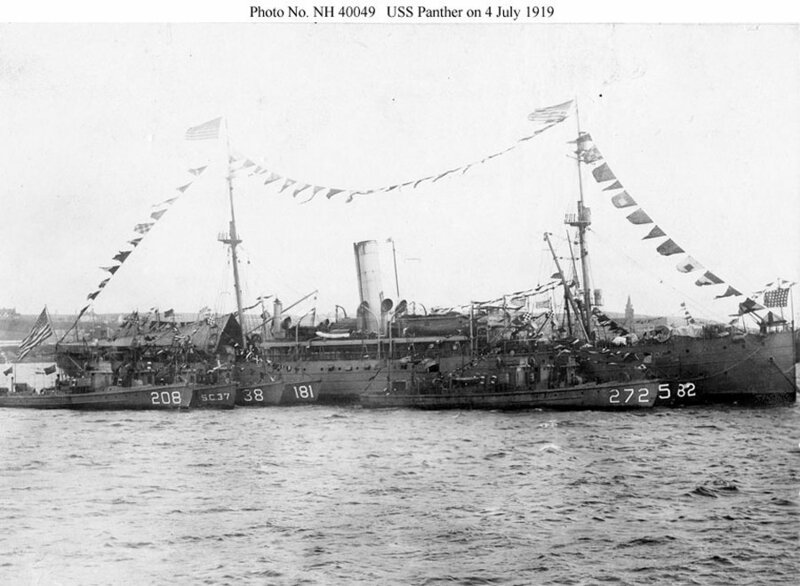 93k USS Panther moored in Kirkwall Harbor, Orkney Islands, while supporting the North Sea mine barrage clearance operation in 1919. 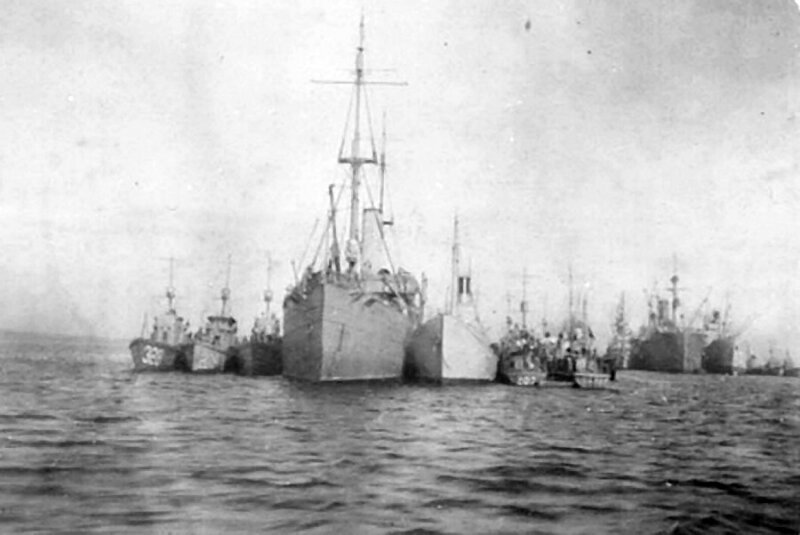 She has several trawlers and submarine chasers alongside. 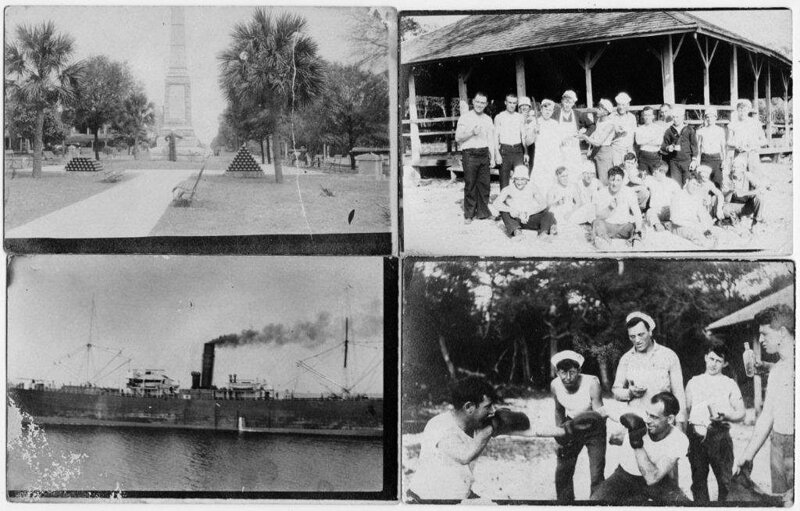 The latter include (from left to right, in outboard group off Panther's port side: USS SC-181 USS SC-48, USS SC-328 and USS SC-38. 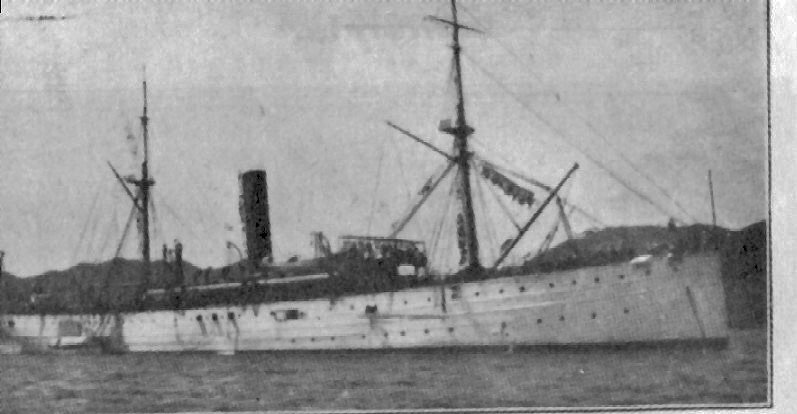 Halftone reproduction of a photograph taken by DeLong, of USS Black Hawk, published in the cruise book "Sweeping the North Sea Mine Barrage, 1919", page 33. 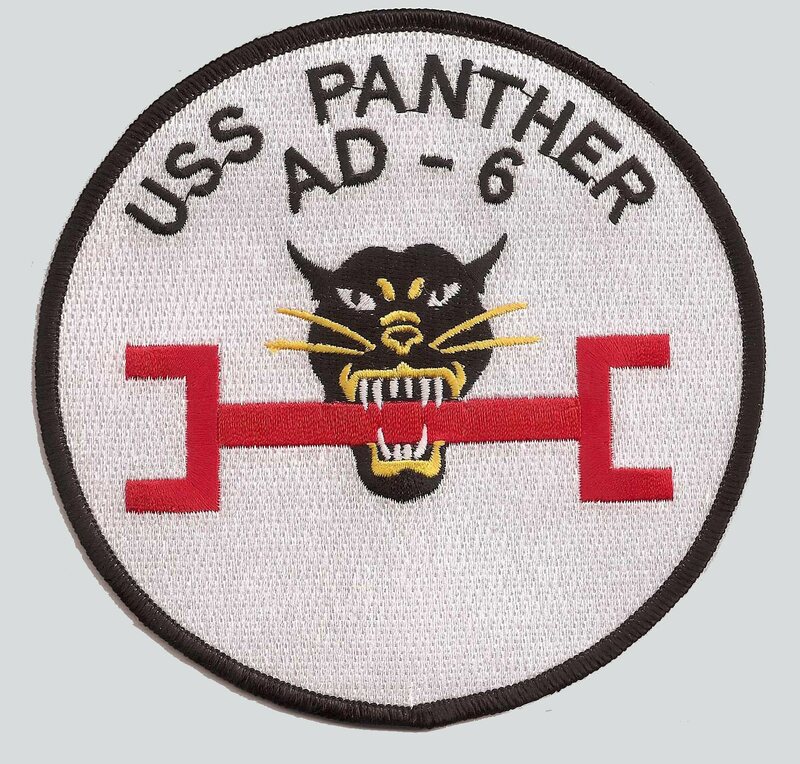 547k USS Panther crew photo and roster. Photo was probably taken, circa 1919, at Kirkwall, Scotland. US Navy photo from "Sweeping the North Sea Mine Barrage" by the U.S. Navy North Sea Minesweeping Detachment. Joe Radigan, MACM USN Ret.